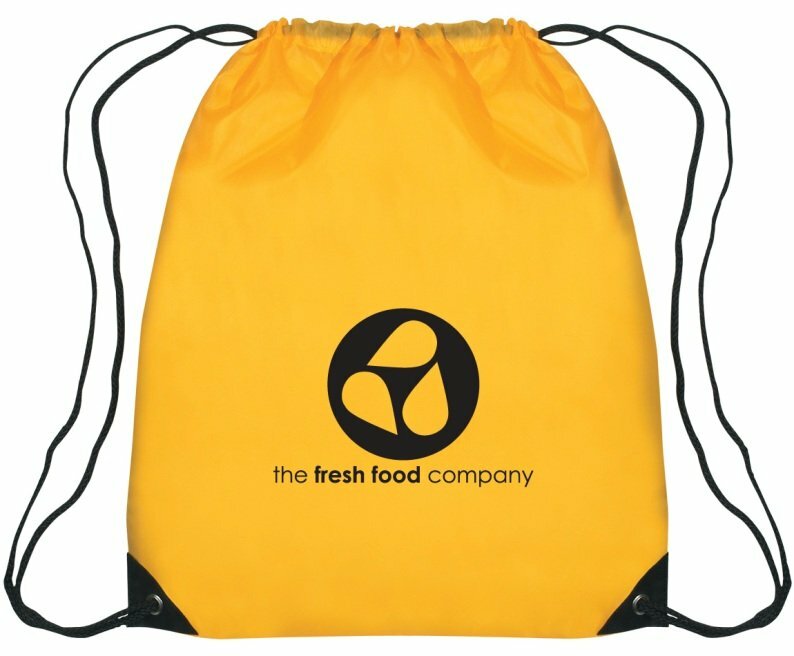 Live large with this more adult size drawstring backpack with an extra large print area. Gyms, fitness clubs, cruise lines, hotels, waterfront including hospitality promotion. Features are 210 Denier Polyester construction, metal grommets, drawstrings. Overall size of the Large Drawstring Backpack is 17" wide x 20" high. Price includes a one color imprint on front in area 10" w x 10" h.
Our school district needed backpacks, larger than the ones we used last year and still stay within fiscal budget. The drawstring backpacks were delivered yesterday and we are happy! The packs look great and will hold the materials we intend to use for this fall session. Perfect bag for elementary school children. PII said they would keep our logo on file and it will be used for an upcoming lunch bag purchase. Thank you again from a satisfied and happy customer.